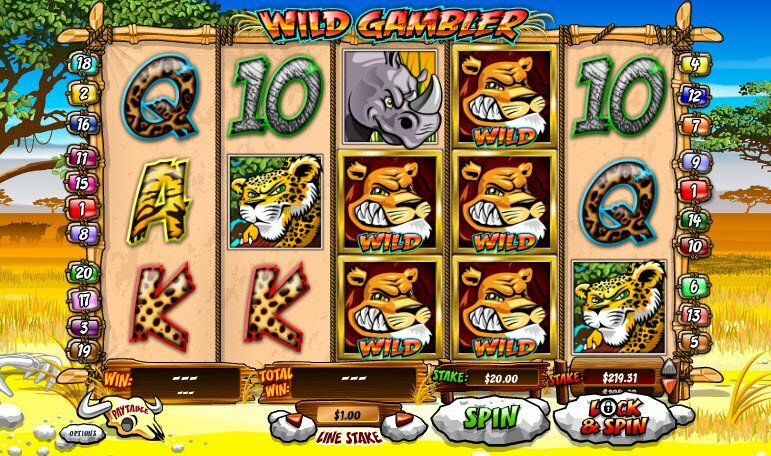 Go on an African safari with the Wild Gambler Slot. Lots of animals show up on the reels including lions, rhinos, zebras, and more. If you see little meerkats on the screen, you can receive up to 8 Free Spins. In addition, the game has a Lock and Spin Feature which you can lock Wild Symbols in place for the next spin. 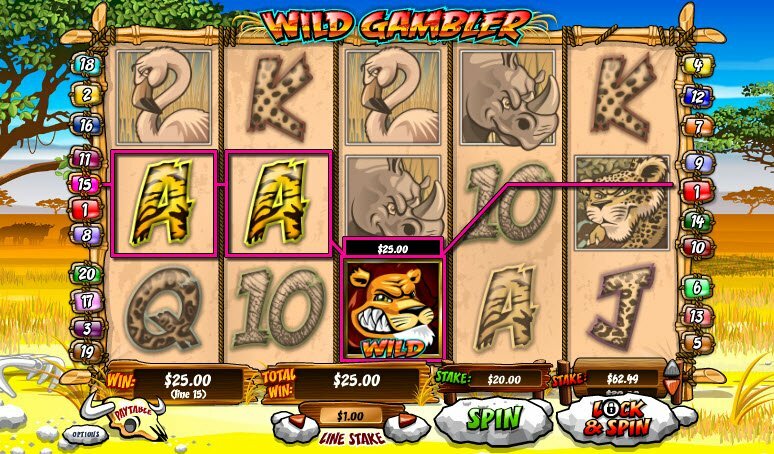 Designed by Playtech software, Wild Gambler has 20 paylines, Locked Wilds, and Free Spins. The Lock and Spin Feature allows you to spin with Wilds locked in place and greatly increases your chance of getting a winning combination. Although the graphics need improvement, the game remains exciting with bonus features. Welcome to the jungle! 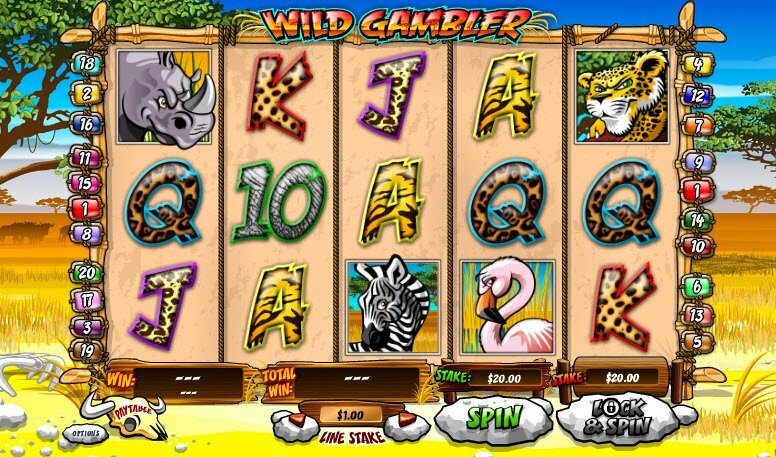 Play Wild Gambler for a trip to the African wilderness. Lions, rhinos, cheetahs, zebras, flamingos, and meerkats show up on the reels. You’ll also see letters and numbers in animal print. Although Wild Gambler has a cool safari theme, the graphics look too simple and take away from the game. That being said, the tribal music sound great and really compliment the theme. Wild Gambler includes a Lock and Spin Feature which allows you to spin with Wilds locked in place. Wild Gambler Bonuses include a Lock and Spin Feature which allows you to spin with Wilds locked in place. When Wilds appear on the reels, you can activate this feature. Although the Lock and Spin feature costs money, it also greatly increases chances of winning. Up to 5 meerkats may suddenly appear during any spin to award Free Spins. During the Free Spins, any Wilds that show up will lock in place to increase chances of winning.